We had a late departure to Paris, our flight was at 1:45PM so we were not scheduled to leave the hotel until 10:30. Stuart, our program director who is was so typically English, informed us at 10:25 the van coming to pick us up had a “puncture” and they had dispatched another vehicle. Not to worry. After a couple of additional calls and 11:00 o’clock came and went, Stuart seemed to be getting a little concerned and actually made alternate arrangements with another driver but finally our ride arrived. 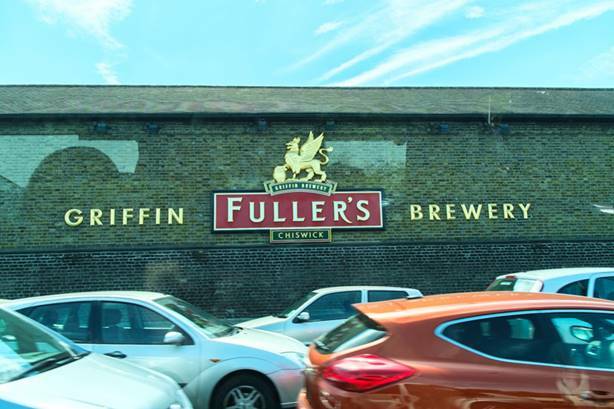 My highlight on the way to Heathrow was passing Fuller’s Brewery, one of my favorite British beers available in the States. We retrieved our luggage and exited to the transport area and began looking for our contact to transfer us to our hotel. After about 30 minutes with no success, I called our program director for France, Ken. I got his voicemail and left a message asking him to email me, since I was calling using Skype. After another 10 minutes I called the Hotel and asked for Ken and he eventually he answered. He had just emailed me. The story was, our driver was caught in traffic and we should catch a cab. The attendant at the cab area was very helpful and called a van large enough for the six of us. The cab ride was less than 10 minutes which makes me think that there was never a vehicle coming for us. We were forgotten!! We were staying near the airport in the village of Roissy-en-France. It was a charming village, and we walked to the main street area and had dinner at a local restaurant. Early Thursday morning we boarded a bus for a 2 hour ride to our first destination- The Peace Memorial Museum in Caen. 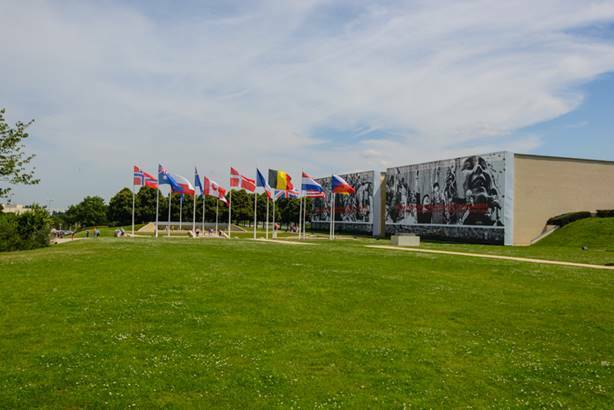 This state-of-the-art facility did an outstanding job of presenting the events of World War II, including D-Day, very vividly. We were allowed 2.5 hours here to visit and have lunch. We completely skipped lunch and still did not have time to experience the entire exhibit. 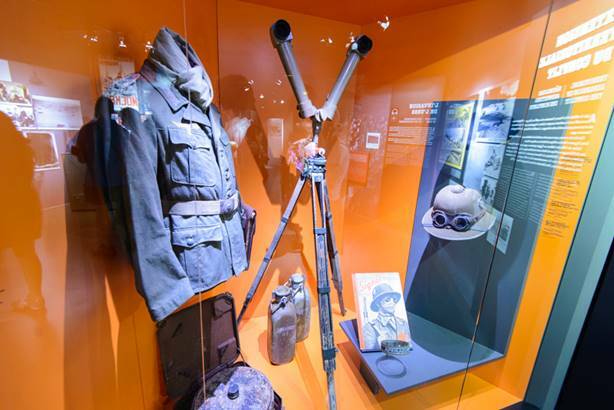 It was well organized chronologically and you traveled through the devastation of the world from beginning to end, via exhibits, photographs and videos. 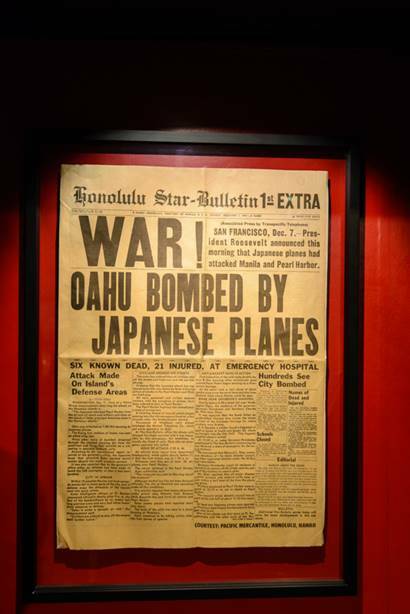 There were many newspapers on display among the thousands of exhibits. Another of the many exhibits. 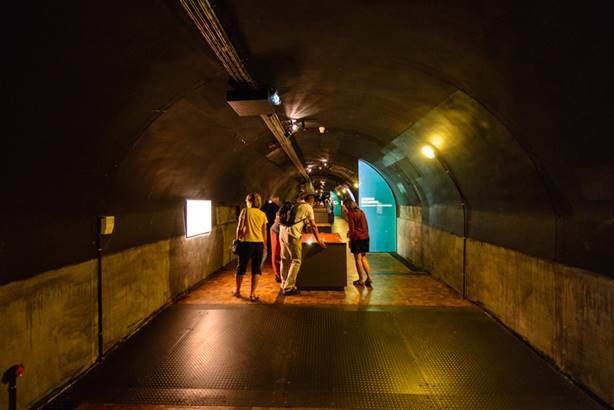 We had the opportunity to enter the German Command Post bunker which is where the Museum is located. I can’t say the visit to the Peace Memorial Museum was “fun” but it certainly was educational. Exhibits like this are needed so that we may never forget the potential for evil and it’s destructive power. 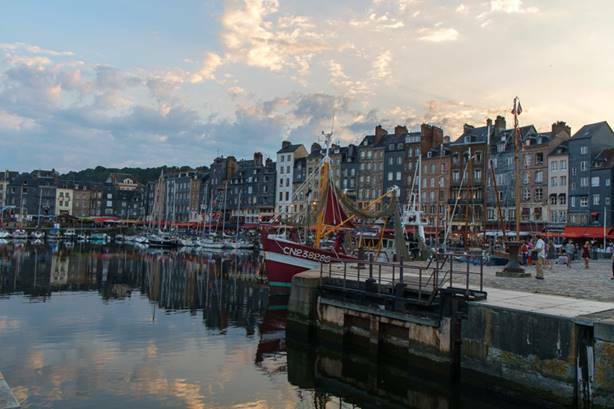 After another hours ride, we finally reached the port city of Honfleur near the mouth of the Seine river. 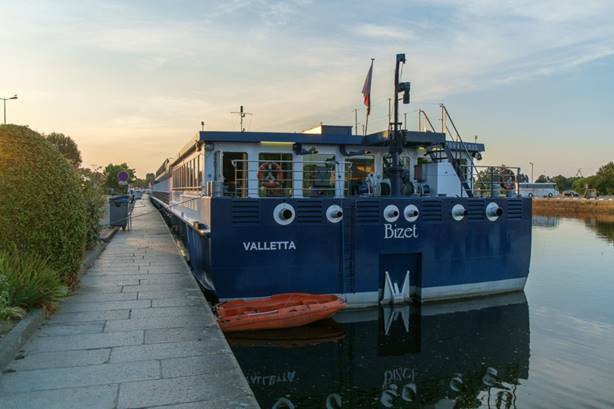 Our boat was waiting for us. We only had time to change quickly and then dinner. After dinner we walked into town for a beautiful sunset. 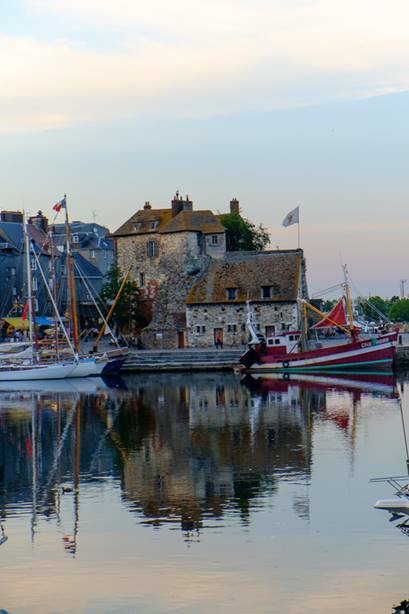 Honfleur was once one of the most important ports in France. 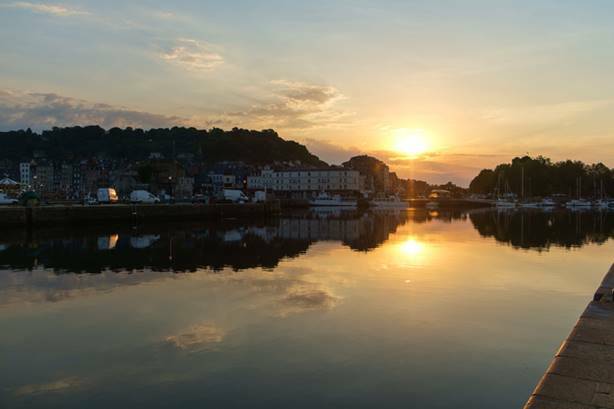 The port changed hands frequently between France and England during the Hundred Years’ War (1337-1453) and was finally won back by France in 1450. 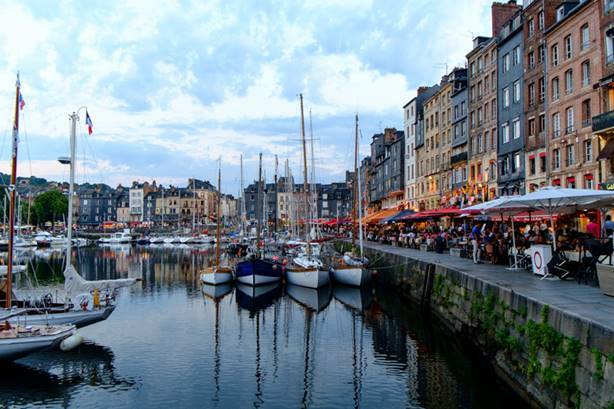 In the 1800’s Le Havre displaced Honfleur as a major port. 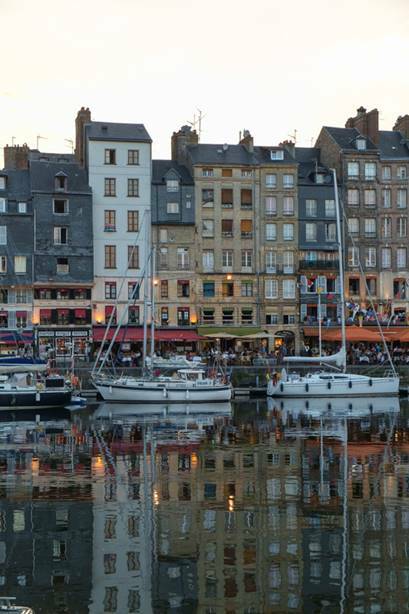 Honfleur is a small town of about 8,000 people, but it was quite busy with a lot of local tourist in addition to the few river boats there. The calm water in the port made for beautiful photos. 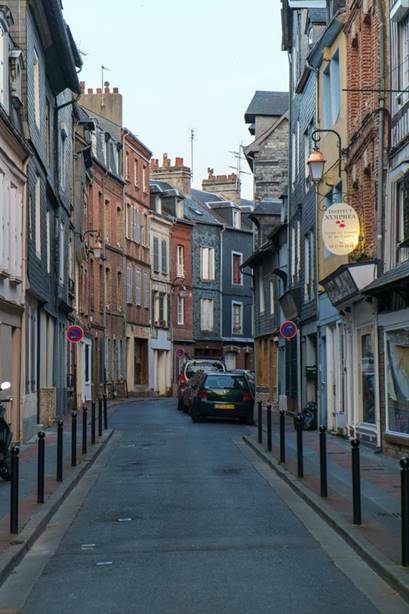 One of the many narrow streets in town. This photo was taken about 9:30. It doesn’t get dark until about 10:30 since we are at about the same latitude as Nova Scotia. As you can see on the right, the street cafés were very crowded as the Europeans eat a very late (for us) dinner. This is the oldest building in the city. 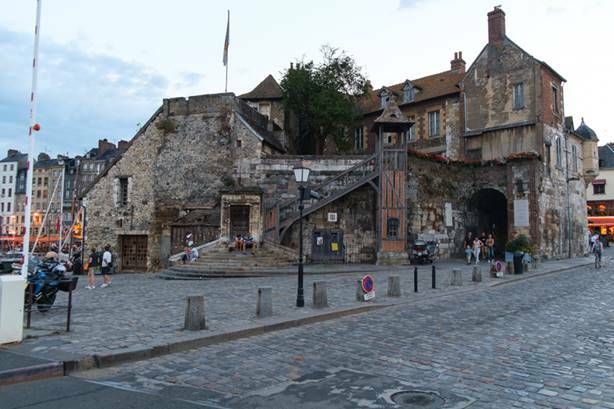 It was once part of the city gate, then an hotel. There is a plaque commemorating Samuel de Champlain, a native son and the Canadian explorer who founded Port Royal in Nova Scotia and the settlement of Quebec. 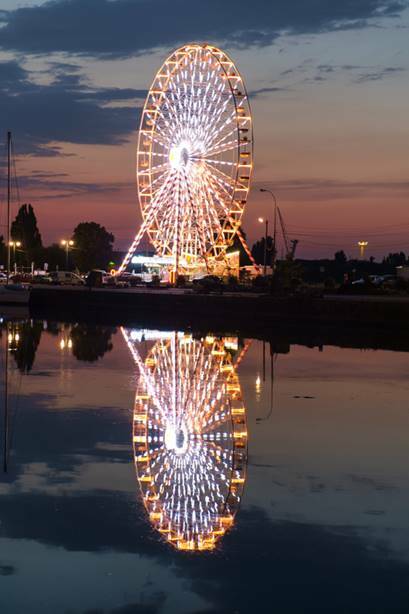 After arriving back to the boat, this Ferris wheel was visible from our cabin.